Have you heard of Abraham Maslow’s hierarchy of needs? Looking at the pyramid, as each set of needs is fully satisfied, one’s attention can move up to the next level. 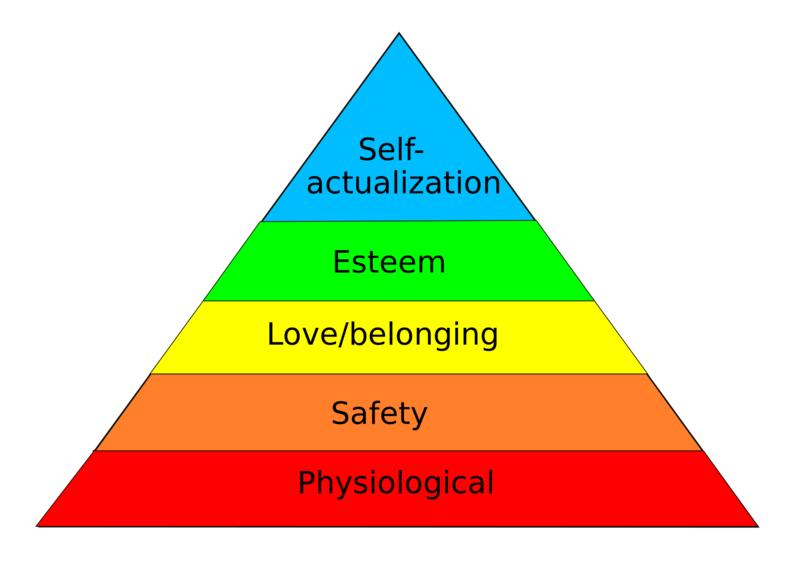 Regarding the top of the pyramid, Maslow said, “What a man can be, he must be” (emphasis mine). This level of need refers to what a person’s full potential is and the realization of that potential. Maslow describes this level as the desire to accomplish everything that one can, to become the most that one can be. Sometime in the past year, I hit the top of the pyramid, and it set me off on a quest for my life’s purpose. After recovering from breast cancer, I was no longer wiling to cast about in the hope that I was living my purpose. This led me to the fascinating realm of modern hand analysis. Turns out that life purpose, life lesson, and special soul gifts are all encoded in our fingerprints and handprints. After receiving some basic information about my own handprints, I have a lot more to go on now. There were some fun surprises… and my clarity is growing by leaps and bounds. At times over the past year, I’ve grumbled that I know a lot about many things and am the master of nothing. Now I see this condition as multi-talented and bringing a very unique body of skills to my contribution. I’ll share more as it’s revealed to me. What I can say for now is that I’ve put my stake in the ground: I’m creating a new paradigm around breast cancer and there’s nothing PINK about it. Stay attuned! This entry was posted in Life Purpose and tagged baeth davis, Breast cancer, Breast Cancer Mystery School, hand analysis, life purpose, Maslow's hierarchy of needs. Bookmark the permalink. 2 Responses to What Happens Next? Recently, I had a conversation with a young woman entreprneur (anyone under 50 is young). She was commending her program to me bc it is about trusting our own knowing and not, as Pamelah would say, giving away our power to others or to other entities (fingerprints and markings in the hands) which claim to know our purpose in a way that we are not yet aware of. What we’re learning about life purpose, about being a spiritual teacher as one’s life purpose, and gift markings that have public requirements, fits your quote from Maslow, “What [one] can be, [one] must be.” I was astonished to see that convergence. PS, my website is being re-done by a developer, so you won’t see much on it now. Beautifully put, thank you Russell.